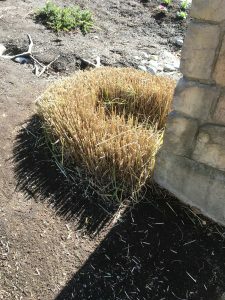 Landscaping and Property Maintenance - Ornamental grass cutback: time it right - Proper Landscaping Inc. I was on a large strata site last week planting winter pansies and testing out a new Stihl brush cutter. Finished for the day, I descended down the long private road that winds through the complex. 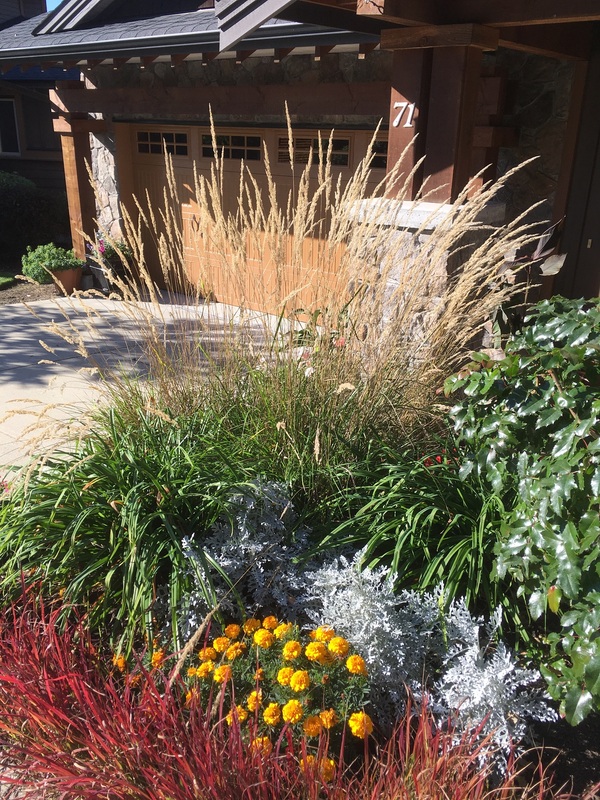 And what really struck me was the beauty of the ornamental grasses. They were gently moving in the late afternoon sun and they put on a great show. They were ornamental for sure. Unfortunately, the beautiful Calamagrostis x acutiflora ‘Karl Foerster’ were coming down. 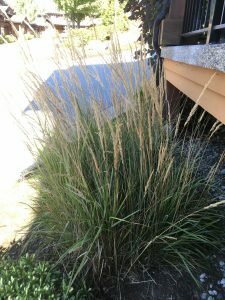 So you have to ask yourself why this is happening just as the grasses start to look their best. It comes down to pressure because this particular strata site is huge. It takes four weeks to make one full maintenance rotation. And the fear is that before the grass area is due for service, rain and wind will have destroyed them. That’s too bad because the show they put on along with their cousin grass species totally warmed me up. 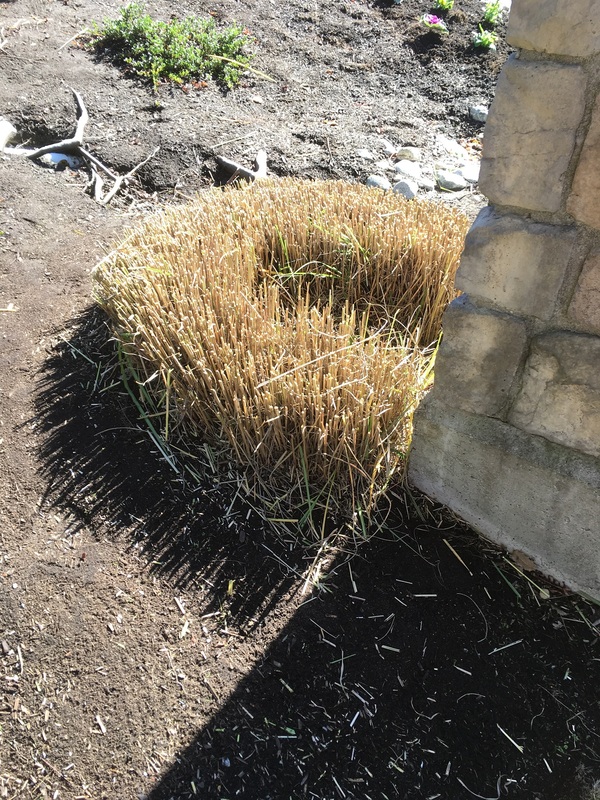 Now all that was left was a grassy stump to look at until next spring. This totally defeats the point of planting these grasses when they’re not allowed to be ornamental. Note that there is always the possibility of rot in the centre when the grass is cut back too early. This is it until next spring. Rot in the middle is always a danger. 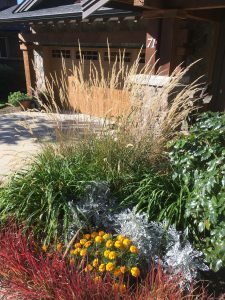 Ornamental grasses flower in the fall and when everything else in the landscape fades, they give us something to look at. Personally, I cut them back only when they’re all broken up on the ground. 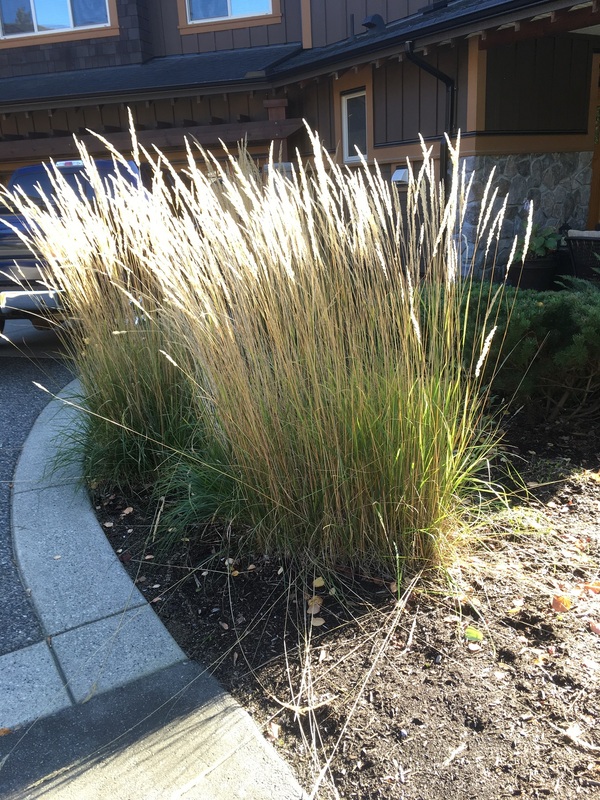 If you can let your ornamental grasses stand into winter, you might get rewarded with a beautiful frosty look. And birds also feed on the flower spikes in winter when there isn’t much else to eat. 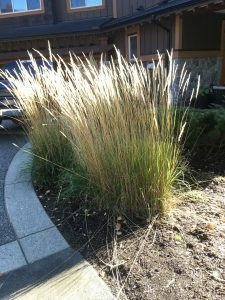 If you can, let your grasses be ornamental and enjoy them well into spring. If you must cut them back, do it when they’re flopped over and hugging the ground.